To boost both well-being and morale in the workplace! 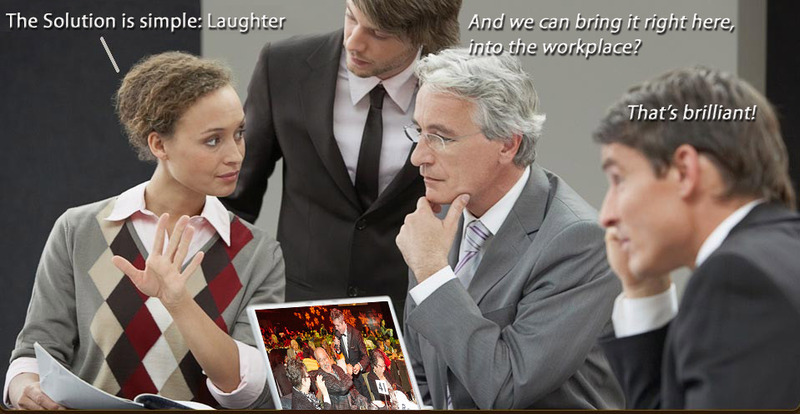 The staff is told they will be having a unique new team building session. 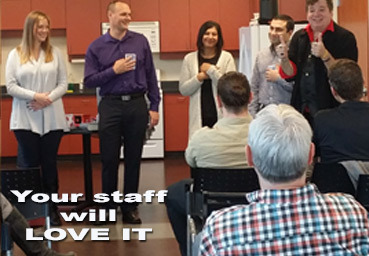 This will take place at your workplace in a boardroom, lunchroom or any area where everyone can sit comfortably and enjoy what they will participate in. Alternatively it can happen as part of a weekend seminar or conference as a fun breakout session, ask how we can customize it to your business or conference theme. The group is then engaged in a highly entertaining, fully interactive, laugh filled series of Magical experiences by Comedy Magician The Maestro of Magic. This experience is so much fun and truly memorable and enhances a positive and inspiring feeling that energizes the staff! A Happy Staff is a productive staff! Laugh Thru Lunch Copyright © 2014. All Rights Reserved.